Free camper service area. 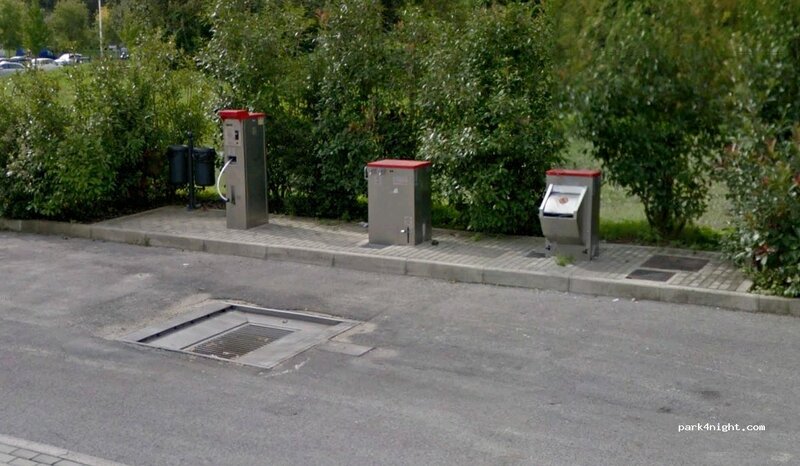 Free drinking water and black/grey draindown. 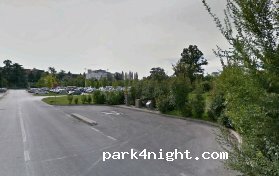 Large free car parking area adjacent. Nous y étions le 31.08.18. Très bien, très calme. 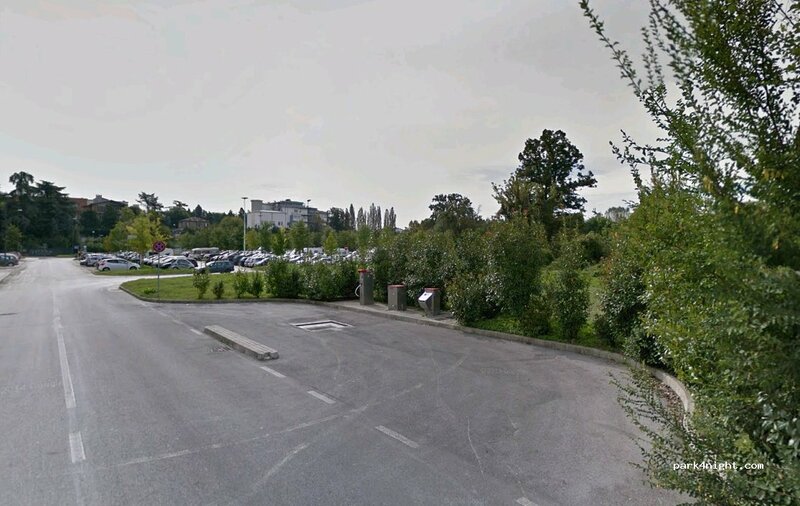 Vaut la peine de faire le tour du parc juste à côté. Einen grossen Dank an die Gemeinde für so einen tollen Platz, Stadtnah mit Ver. und Entsorgung. 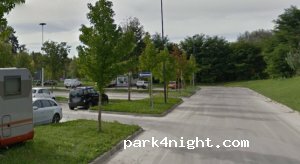 Schöner ruhiger Stellplatz, nah an der Altstadt und direkt am Park. Recently upgraded camper services, drinking water and drain-down, all free of charge. 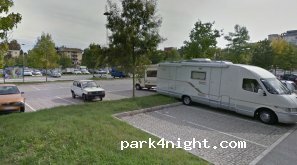 Large parking adjacent (not camper specific, but free) however, spaces are not level. Police passed several times during the night, no problems and felt safe, lots of local campers here. 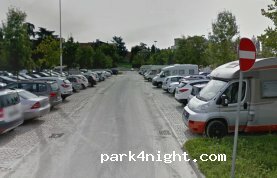 Lugar tranquilo para dormir, por la mañana es parking de coches también pero se está bien en la entrada hay para aguas! Il camper Service è attualmente fuori servizio. 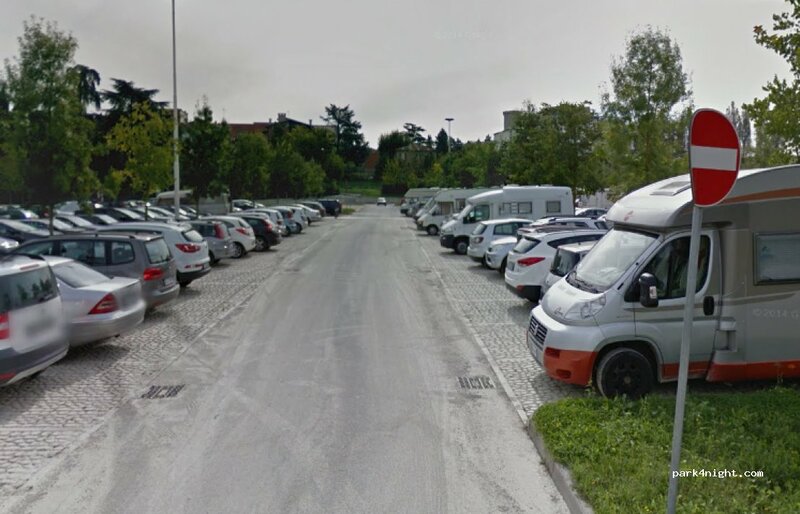 Parcheggio tranquillo a pochi passi dal centro raggiungibile da strada pedonale che conduce al centro storico.